Are you the type of person who loves to make the most of your weekend? Do you enjoy the annual advent of beautiful weather? Do you take great delight in snatching up some good bargains for refreshing and replenishing the Spring wardrobe, home or…random velvet painting collection? If these things describe you, then you probably love a good garage sale and thankfully, that very season is upon us. The beautiful thing about our area is that there is always a fresh crop of garage sales to pick from, as well as a few annual traditions! Here’s our “Best Of! 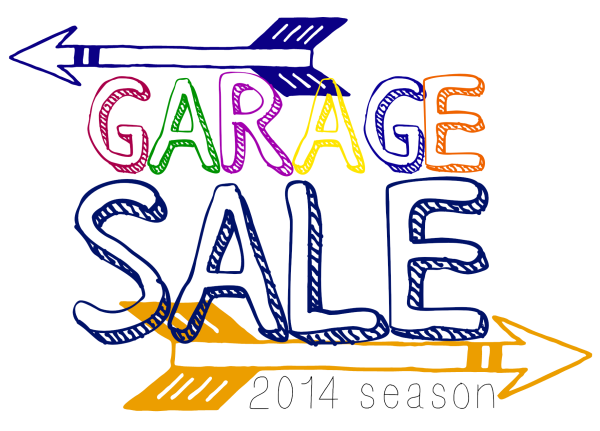 Garage Sale Edition"
For finding the best sales each weekend, there are a few good tricks. My current favorite is gslr.com - with this nifty garage sale finder, you can pull up listings for all the garage sales in your desired city and it will even plot a garage sale route for you! Of course, you can also often find listings on Craigslist, local news papers and generally driving around, as well, but sometimes it’s nice to have a plan. The US 40 Yard Sale runs along the National Road and contains 824 glorious miles of road side treasures, spanning from the Indiana-Ohio border to the Indiana-Illinois border. This year is the tenth consecutive year for the event which will be held May 28 up to June 1 and could possibly be the perfect whole weekend road trip getaway. 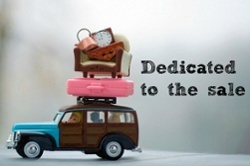 Expect to find almost everything from shoes, toys, clothes down to the oldest antiques that you can come across. The sale is expected to last from dawn to dusk each day. Another interesting Yard Sale that you can encounter in this wonderful city is the Highway 38 Yard Sale. It will be held May 2 and 3 this year but unlike the US 40 yard sale, this event will only last for two days from 8 am – 6 pm. You can visit these garage sales all along 38 from Noblesville to New Castle. Noblesville is a sprawling edition with over 550 homes and which holds a development-wide sale every year. There’s a website for this one, too. One final sale worth mentioning for that weekend is an Adoption Fundraiser being held at 5028 Sylvan Road. Then, a little later in the season there is the July 12 Old Northside Treasure Hunt at the Indiana Landmarks Center. This little treasure is a little more bazaar than garage sale and will feature multiple booths, live music, food trucks, antiques and more. I think it’ll be a winner. More info here. So, you are now armed with some information for hunting down the best sales of the season. If garage sale-ing is an event, surely it is both leisure and sport; Pack water bottles, sun block, cash and brush up on your negotiation skills.